I have had several feeble attempts at vegetable gardening. My first year I did OK with grape tomato plants and strawberry plants, however the peppers, cucumbers, and zucchini that I tried to grow from seeds did not make it past seedlings. I really would love to have my own organic vegetable garden some day, you don't get much more green than that!! I just think that I am lacking all the proper tools and necessities to get started and make it thrive. If you are like me and just dying to get your own garden started but need help, then you need to check out this amazing garden giveaway. 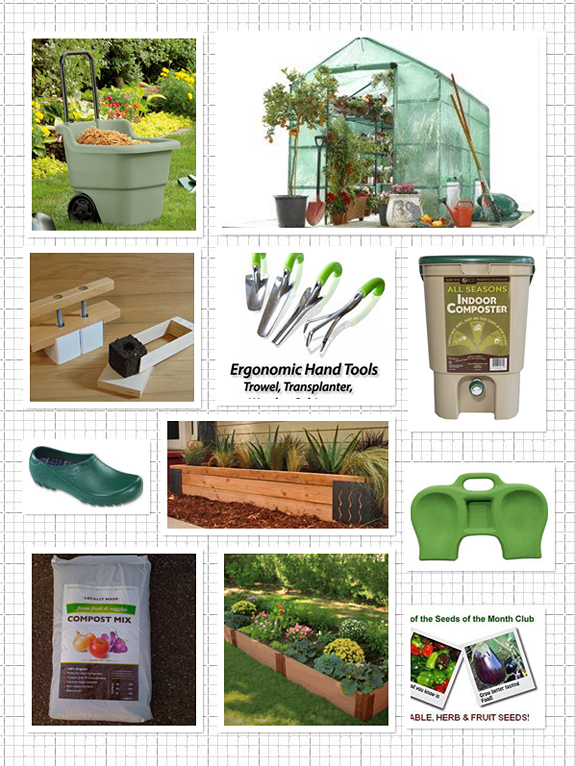 Candy of Serendipity Mommy and Christine of The Cupcake Bandits are sharing reviews of garden products the entire month of April and then giving away one HUGE prize with everything you seen in the image below. Hello, there is a greenhouse in there! Just that alone would make me sooooo happy. Ferry-Morse- Seeds, lots of seeds! So now you can head over to either of their sites to enter. Make sure you read the details carefully on how to fill out the mandatory entry form and then any additional entries. Keep visiting often because every time they review a product from this event, you will have a chance for extra entries. I've already entered and I plan on entering as much as possible. This is honestly the best green giveaway I have ever come across. Nice job Candy and Christine! Ok..totally having a non creepy blog crush on you! Thanks so much darlin! I LOVE YOUR BLOG! Returning the visit from UBP11 and now following! I am checking out that giveaway! I used to have a garden and it did well but now that I have to grow my plants in pots things aren't growing! Unbelievable! That is one outstanding prize! Wow, those are some amazing prizes. I am going to have to hop on over and take a look!